If there is one film in Kollywood which no sources from the industry and no little-birdies from the media have access to, it is Shankar’s treasure trove ‘Ai’. 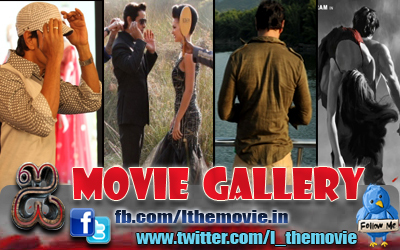 Starring Vikram and Amy Jackson in lead roles, Ai has been in the making for almost two years now. Even the premise of this magnum-opus is still anybody’s guess. The only updates on the film we get is on the music front. Madhan Karky once told in an interview that he had written the most challenging song ever in Shankar’s Ai. Now, a bankable source reveals us that Kabilan has penned lyrics for three songs in the film. He has earlier penned lyrics for Shankar in Boys for ‘Ale Ale’ and ‘Boom Boom’ songs. The hit number ‘Kannum Kannum’ from Anniyan was also written by Kabilan. The audio launch of the film is eagerly anticipated by music lovers.